Efficiency, Cleanliness, and Guest Experience separate the winners from the losers. You live in a world of thin margins, hard-to-find labor, high hourly wages, and – once you find them – high turnover. Reduce trash bags by 85%. Automating with Original ecotrash® compacts six bags of loose trash into one so your employees spend less time changing trash bags, less time transporting them to the dumpster, and less time washing their hands before going back to serving. Imagine recruiting the entry-level candidates you want because you offer them a job with 85 percent less trash handling than your competitors! Eliminate dragging trash through the dining area in front of guests. Original ecotrash compacts trash at the collection source so your guests are no longer forced to see unsightly trash over-flows, or watch trash being emptied during busy mealtimes. No need for guests to compact trash with their hands or touch trash can doors. Use 90% fewer trash bags. 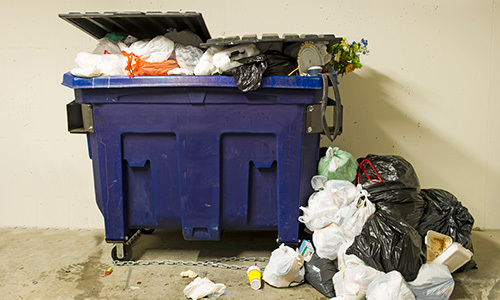 Compacting at the source means using fewer trash bags every day your restaurant is open. 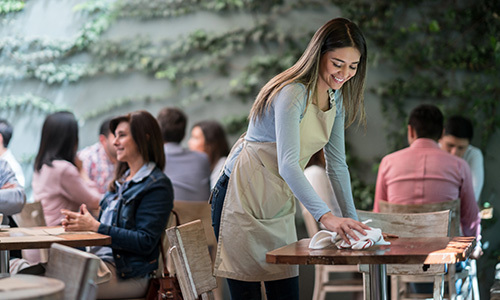 Most Quick-Service Restaurant customers reduce trash bag use by 90 percent when they switch to Original ecotrash. Sustainability is important to your customers, so “walk the talk”. Save money on trash hauling and say goodbye to back-of-house compacting. Traditionally, a compactor in the kitchen was a way to reduce trash volume and save on hauling costs. But back-of-house compacting comes with some baggage. Operating requires age restrictions, and more steps are needed, creating even more work. Creates heavy awkward blocks of trash weighing over 100 lbs. – a hassle and a potential injury hazard. Permanently occupies floorspace in the kitchen or backroom, which is high value storage space for supplies. 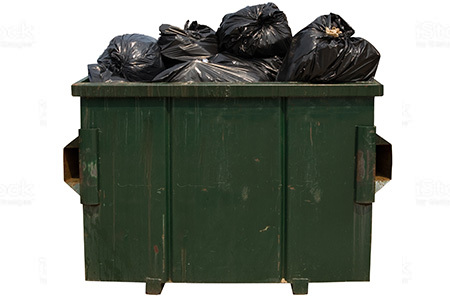 Ultimately, some trash bags find their way into the dumpster without being compacted because it’s quicker and easier than running bags through the compactor. 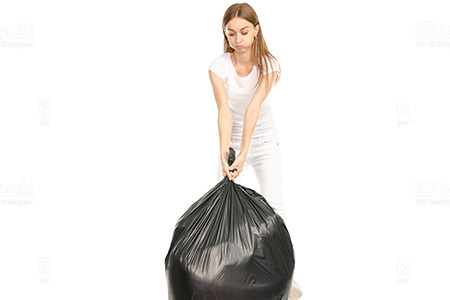 Compacting trash at the point of deposit, in the front of the house, reduces the number of trash bags, which decreases work. There are fewer steps to the process because your customers are putting trash in the compactor. Bags weigh only 25-35 lbs. – about the same weight as a box of frozen French fries. No more 100 lb. bags of trash. Dining room compacting means no dedicated space in the kitchen and fewer trashcans in the dining room. More space for additional seating and better traffic flow. Original ecotrash reduces trash volume in the dumpster allowing QSR operators to save money on trash service and cut hauling costs.